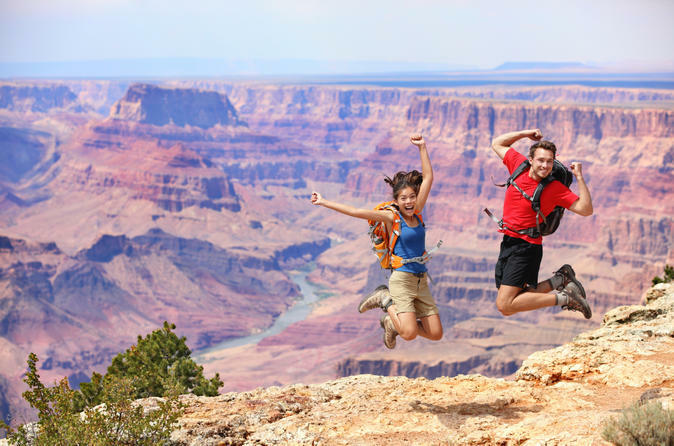 This Grand Canyon day trip from Flagstaff or Sedona blends ancient ruins, lava fields, majestic volcanoes and amazing views throughout Grand Canyon National Park and the remarkable Painted Desert. Drive along the Grand Canyon South Rim and East Rim by air-conditioned mini-coach and stop at lookout points to soak up dramatic vistas. Visit Sunset Crater Volcano National Monument, immerse yourself in the fascinating history of ancient civilizations at Wupatki National Monument, and enjoy a Southwestern lunch at a historic Navajo reservation. Throughout your tour, you’ll learn about Arizona's history, archaeology, geology and flora and fauna from your expert guide. 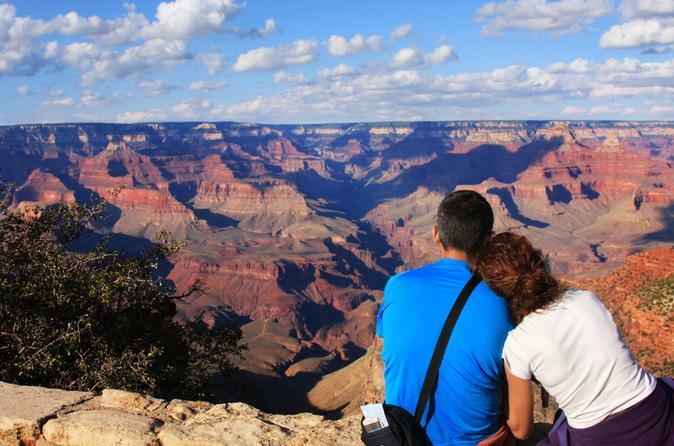 This small-group tour is limited to 14 people, ensuring you’ll enjoy a more personalized Grand Canyon experience. 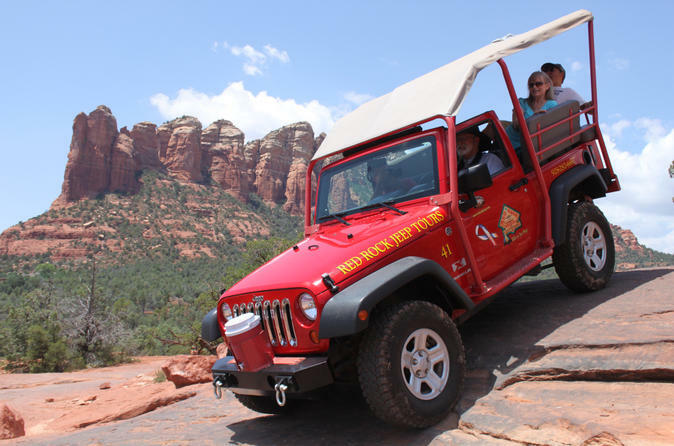 A trip to Arizona is not complete without a jeep tour through the spectacular red rocks that Sedona is famous for. Enjoy a ride along an old stagecoach route for panoramic vistas and picture-perfect views. Visit the Navajo Indian Reservation and see the true native America including a stop at their trading post. 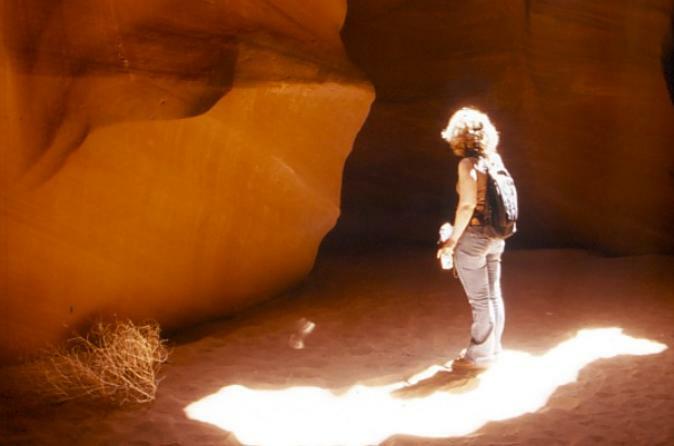 After you arrive in Page, Arizona you will travel by SUV with a local guide to Antelope Canyon where the changing light patterns will also make for brilliant photo opportunities. 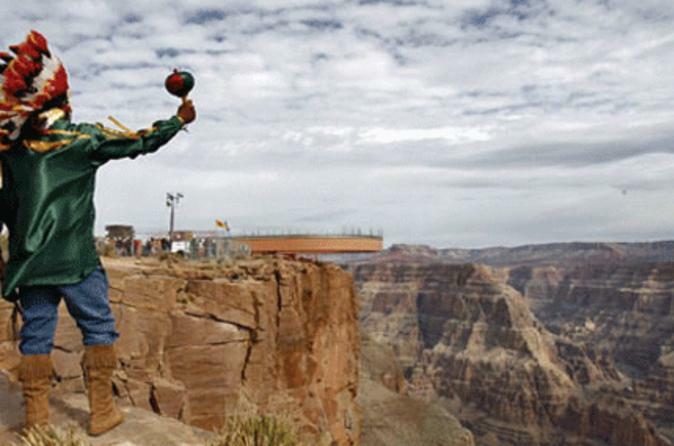 Explore the Grand Canyon West Rim by air and foot on this day trip from Sedona. This tour has it all: Take in gorgeous aerial views of Red Rock Country on a flight from Sedona and soar to the canyon basin on a helicopter tour. 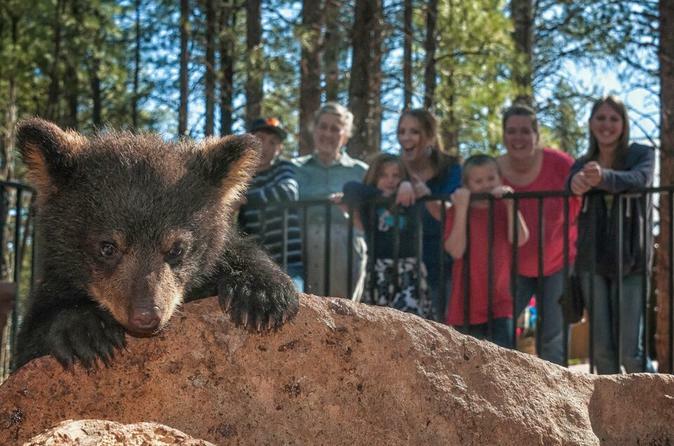 Take an optional stroll along the famous Skywalk, watch a cultural performance by native Indians, and enjoy a hearty BBQ lunch on the rim of the canyon. 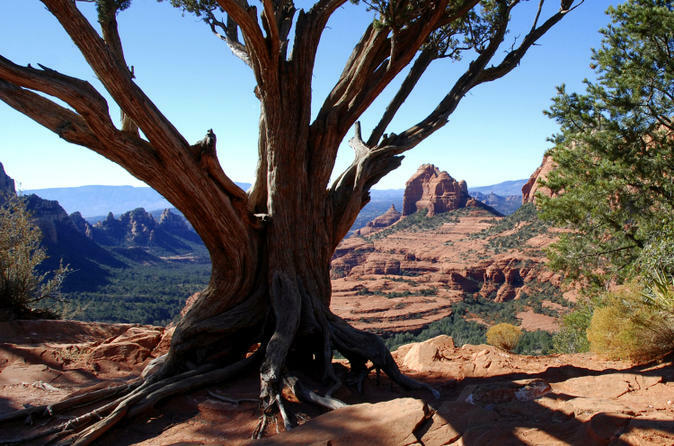 Travel through the rugged countryside and challenging trails of Sedona towards Soldiers Pass where you will be captivated by the picturesque landscape. Journey to Devils Kitchen and Apache's Seven Pools for some stunning back-country scenery that will leave you breathless. 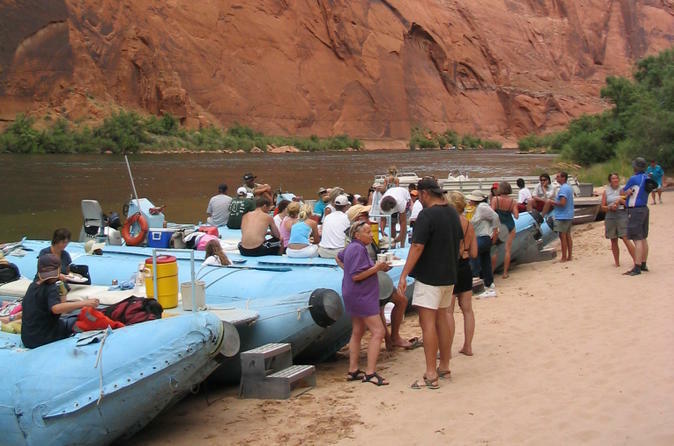 Soak up the beauty of Glen Canyon as you enjoy a peaceful rafting trip down the Colorado River on this full-day tour from Sedona. Paddle over to a beach for a picnic lunch and discover Anasazi petroglyphs in cliffside pueblos. 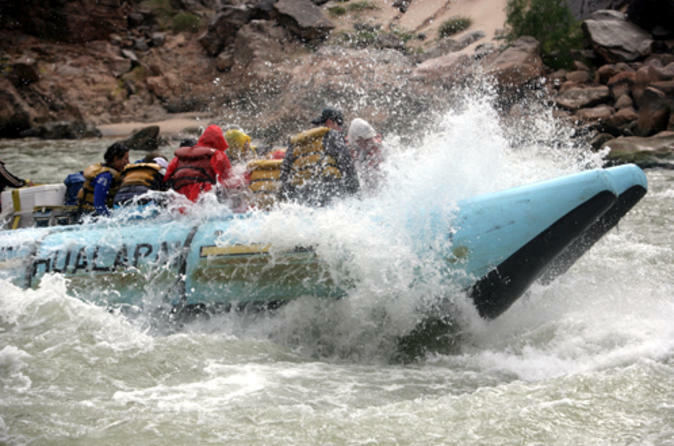 Before rafting, drive through the striking landscapes of the San Francisco Volcanic Field and the Painted Desert. Learn the history behind a trading post of the Navajo Nation, and purchase silver jewelry and Pueblo pottery as souvenirs of this unforgettable trip. 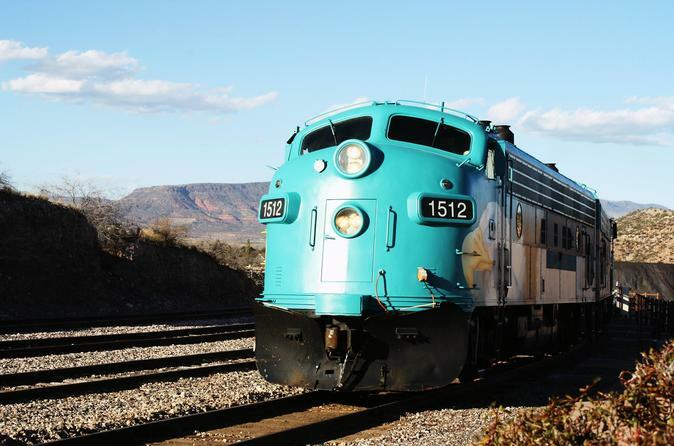 Hop aboard the Verde Canyon Railroad for a 4-hour journey through the untouched and unspoiled Verde Valley. With first class seating, you will enjoy unobstructed views of Arizona’s geological wonders, wildlife and remnants of the Native Americans who once lived in the area.